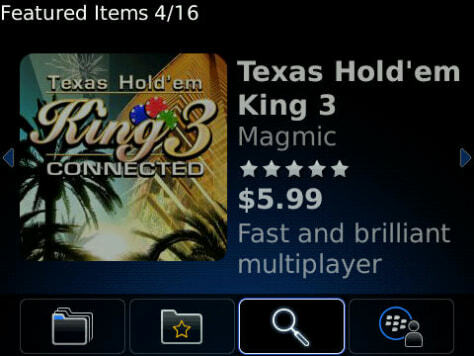 Beneath the featured items carousel in the BlackBerry App World "store,", there are icons used for navigating. From left: the categories of different programs, top downloads, search and My World. The latter is a listing of the applications each user has downloaded.